Fast-forward 10 years and there will be new woodland in Brent after 100 sapling trees were planted in Roundwood Park. The trees were planted by Wates Residential alongside 13 pupils from Newfield Primary School and representatives from Carbon Footprint at an event on Wednesday. The initiative forms part a new nationwide commitment by the developer to offset carbon emissions created by its construction activity located across London and the South. The trees were donated to Brent Council by Wates Residential as part of its presence in the neighboring borough of Camden. It is currently building 141 new homes and additional retail and commercial spaces as part of the Abbey Area redevelopment in the borough. The developer is also working with Brent Council on the Knowles House redevelopment in Harlesden, which will include the construction of two new buildings, providing 92 homes for temporary accommodation and 57 for independent living to support some of Brent’s most vulnerable residents. 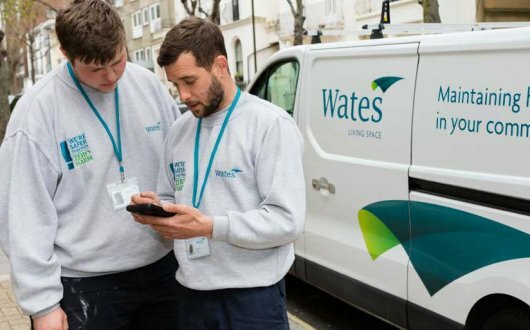 On all of its projects, Wates Residential works with its partners to deliver a lasting legacy for the local community. In Brent, the new trees will help aid the creation of a woodland wildlife habitat in addition to offsetting the unavoidable carbon emissions caused by the vehicles, site machinery and site office accommodation required to support its construction activity. Roundwood Park is a popular site, owned and managed by Brent Council and used by members of the local community. All trees planted are native British species including Silver Birch, Grey Willow, Whitebeam, Hazel and Hawthorn. In addition to planting 100 trees locally, Wates Residential also boosted its carbon offsetting target by supporting a Wind Farm in India through the Carbon Footprint’s buddy scheme. This will see at least 300 tonnes of carbon dioxide offset with official carbon credits verified against the internationally recognised Verified Carbon Standard. The developer will now work with Carbon Footprint to plant native broadleaf trees near to its construction sites across the UK, as well as offsetting its carbon emissions through verified carbon offset projects around the world as part of its wider environmental sustainability strategy. “Planting more than 100 trees in Brent is just one of the ways we can ensure we are creating great places for people to live far into the future, as well as helping us to maintain our commitment of being a responsible business. We are pleased to be working with Wates Residential to deliver much needed accommodation for some of the borough’s most vulnerable residents.